as you may or may not have caught on sunday's post, a. and i got some new wheels this weekend. after our deer incident and with our stupid truck falling apart before our eyes, we decided now was the time to trade in the money pit and get something reliable. something we can run into the ground. a vehicle that our children will some day own. doesn't this look like something you'd see in an advertisement? i know. i love her. 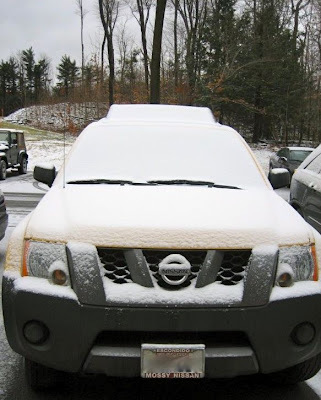 we decided to go with an xterra because they hold a special place in our hearts (it was actually the first car we bought after we were married...bright, bright yellow- we called it the highlighter...and we trust the brand. the only reason we traded in our first one was because without 4-wheel drive, it was terrible in the snow. i posted a picture of the highlighter below, braving her first new york winter & not looking too cheery or yellow.). our new beast is a 4x4 and rather fancy at that. it is blue tooth compatible (i love that the car can talk to me and i can talk to anyone i want while driving) and has a fancy radio that hooks up to an ipod. 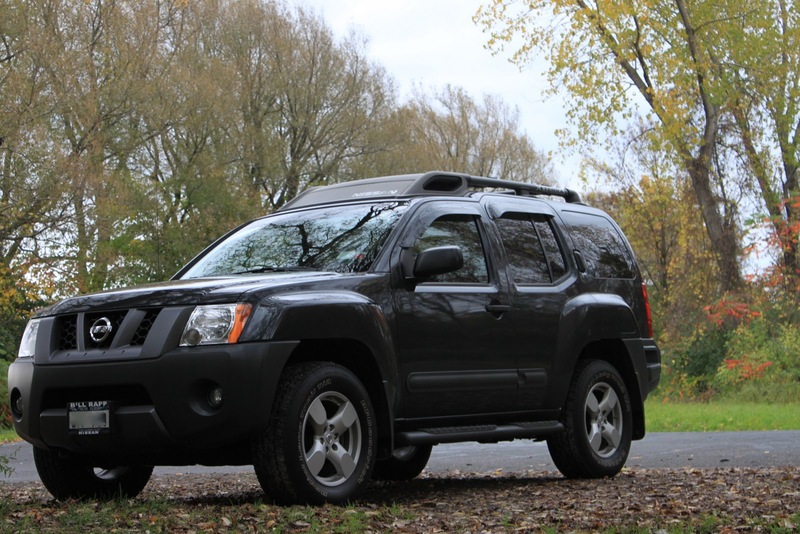 normally, we're not all about the bells & whistles, but this xterra was in our price range, was in awesome shape and had everything (plus a whole lot more) that we wanted. needless to say, it was a deal we couldn't pass up. and luckily we didn't because we're officially in love (and fighting over who gets to drive).